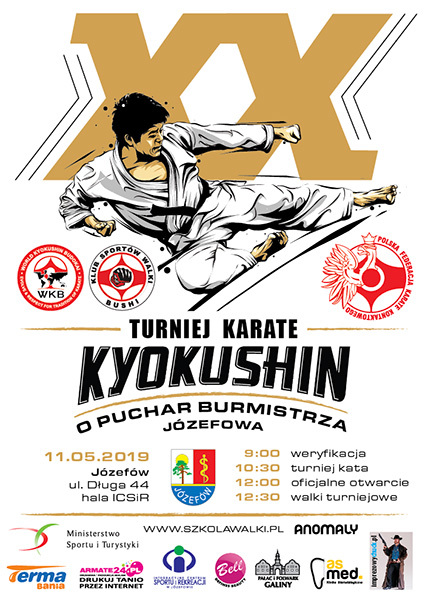 May 11, 2019 in Jozefow (Warsaw) will be held the 20th International Tournament of Karate Kyokushin “Mayor’s Cup Jozefow 2019” (WKB). Like in last year competition is open for in for fighters from all karate clubs regardless of organization. 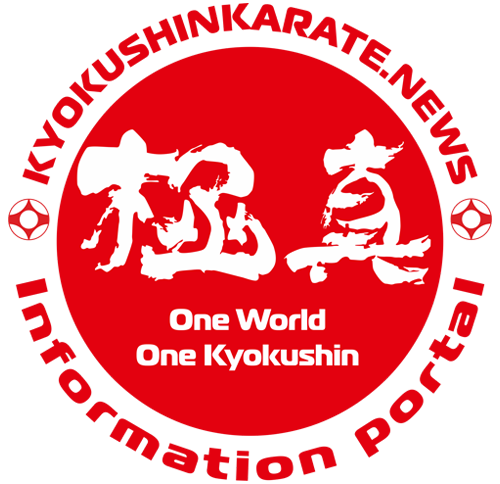 All categories have full kyokushin regulations. As in previous years, will play separate categories ORANGE BELT TOURNAMENT (10 and 9 kyu for 14 years old and younger). 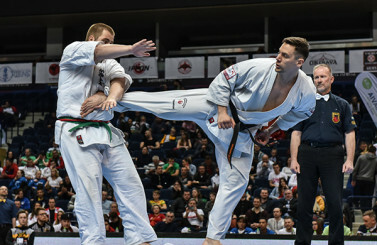 The experience of previous tournaments shows that the separation of beginners and a dense division into weight categories greatly increases the safety of players. We will play KATA open category, without age categories, only with the division form male and female. There are also predicted categories for SENIORS and SENIORS FIRST STEP. Last year’s Cup was attended by approximately 480 athletes (41 clubs) from Poland, Romania, Russia, Latvia, Austria and Germany. 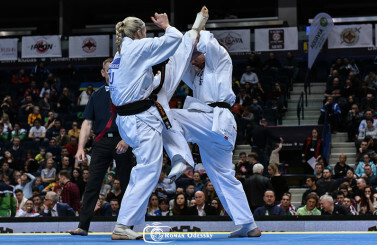 The participants were international organizations such as World Kyokushin Budokai (WKB), Kyokushin-kan, IKO, ShinKyokushinkai, IKO Matsushima, IFK, KWF, IKO Nakamura, Shorin Ryu, WKU / GCO Kyokushin (World Karate & Kick Boxing Union). 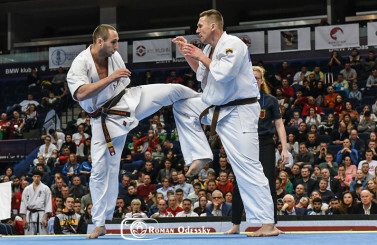 Organizer: Shihan Pawel Juszczyk, SC “BUSHI”.